CTO services from ProVelocity provide strategic level guidance and ground‐floor IT implementation. Though nearly every organization could benefit from a full time chief technology officer, few have the resources to hire one. Our virtual CTO services offer you the advantages of having a knowledgeable, experienced, and dedicated team monitoring and maximizing technology use. Chief Technology Officer (CTO) services from ProVelocity provide strategic level guidance and ground‐floor IT implementation, packaged to help your organization maximize profitability and efficiency through the use of technology. CTO services provide initial baseline assessments, annual budgeting, business continuity planning, and more. Call us today to discuss the savings of outsourced CTO services. Our desktop management solutions, which encompass the usage, storage, and safety of your organization's computer technology, are designed to maximize the efficiency and security of your operations. Keep tasks such as installing operating systems, deploying applications, patching vulnerabilities, protecting company data and managing energy consumption off your employees' desks, allowing your company to focus on what it does best. 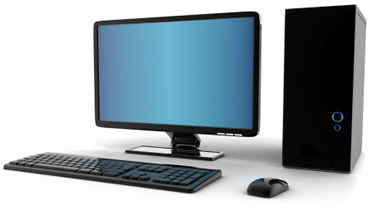 Common desktop management costs are far more than the actual price of hardware and software. Indeed, the largest costs originate in the time and energy inexpert employees spend trying to install operating systems, troubleshoot applications, encounter security protections, and connect multiple work stations on their own. Outsourcing desktop management to ProVelocity lowers costs and clears technical hurdles. Though many organizations are integrating mobile devices into their telecommunications strategy, optimizing and managing this technology is a relatively new concept. Our mobile device management services encompass strategic planning, setup, and security protocols to ensure your mobile technology is working for your company, not against it. Mobile device management services from ProVelocity offer strategic planning—essential for execution and implementation of a mobile solution—as well as continual strategic and technological consulting to maximize the benefits of mobile technology for your business. ProVelocity provides mobile device management that cuts to the purpose of why cell phones, PDAs and laptops are employed by businesses in the first place. Our efficiency planning and remote management processes allow you to maintain control of your mobile strategy at all times. Call ProVelocity for more details. ProVelocity's comprehensive approach to network management is designed to help you meet outstanding technological coordination and security requirements in a rapidly‐evolving business environment. Our expert technicians ensure the safety and functionality of your networks, maximizing uptime while minimizing your costs. Our network management solutions are focused continually on the security, coordination, and optimization of your network systems. Our expert network consultants and technicians will turn your break‐then‐fix network management model into a conscientious and proactive solution, ensuring robust uptime and technological efficiency. 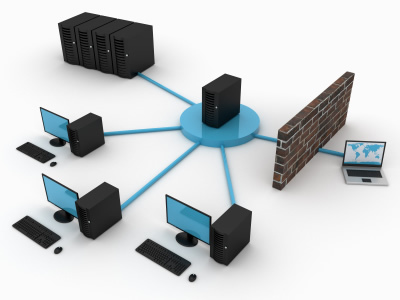 Our outsourced network management model can cut up to 30% of your IT costs. And our comprehensive network architecture and strategic planning will help you build a successfully proactive technology solution, allowing you to pay for network troubleshooting only when you need it. Contact ProVelocity to learn more about network management solutions today. Does your organization have its own IT department, but find yourself over your head on a specific project? Want to maximize efficiency with a single network upgrade? Need strategic guidance to setup and plan your company's first systems network? Our project consulting services, ranging from infrastructure architecture to efficiency planning, will fit the bill. ProVelocity's project consulting, available on a one‐time or ongoing basis, offers you the knowledge base of our experienced technicians and systems architects, providing strategic level guidance and proactive implementation with the efficiency of your operations in mind. IT project consulting brings our expertise to your board room, providing top‐level advice that works in the real world. Cut out steps by building on what we already know, and avoid hiring a full time position for what you could learn in a single day. Maximize your organization's use of technology while cutting costs. Contact us today to learn more. Our troubleshooting technicians are the best in the area, providing comprehensive solutions that work every time. Provelocity's remote & onsite support is troubleshooting when and where you need it. Our expert support solutions allow you to cut costs by handling many IT problems through our unique and secure remote screen sharing technology, while getting immediate expert onsite support from qualified technicians when necessary. Our support solutions were developed with your organization in mind, allowing companies to customize their support plans, cutting costs and increasing efficiency with remote support access. Our troubleshooting technicians are the best in the area, providing comprehensive solutions that work every time. Our job isn't finished when a specific issue is solved, either. Our proactive approach to IT support ensures we spot problems before they occur, maximizing uptime while avoiding costly repair bills. Our 24‐hour dedication to your business means we're partners in success. Call us today to learn how you could be saving money with remote and onsite support services. Our server management services demystify the ever‐complex world of network systems, giving you the information and support you need to maximize uptime and keep your employees connected. Our on‐the‐ground commitment to implementation, testing, and security means we head off issues before they occur, and keep your organization moving forward. Your server management services need to be up‐to‐date for the 21st century. Continually evolving security, efficiency, and infrastructure threats require a robust and flexible server management strategy. We can phase out your current break‐then‐fix management plan, and input a proactive strategy that will cut your costs while maximizing the effectiveness of your employees. Our intelligent server management solutions help you save money on hardware, installation, and upkeep, while still consolidating the power of your technological resources. Our server management services provide initial baseline assessments, hardware installation and implementation, continuity planning, and more. Contact ProVelocity to learn about how we can help your organization. While nearly every organization thinks about using telephones, very few approach their telecommunications systems with a comprehensive and strategic plan. Our telephony management solutions give you an edge on your competition, compiling your resources and cutting your costs with simple yet effective hardware and systems implementations and upgrades. 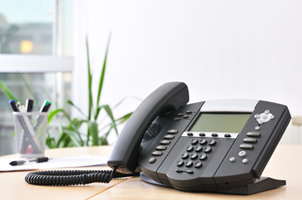 Our telephony management solutions provide insights into your organization's telecom strategy. We give you control over how to monitor, bill, and manage each phone in every department, ensuring they're always working for you. Cut costs by trimming useless features, and empower your sales teams with up‐to‐date analytics. Reducing operational costs while maintaining or increasing organizational efficiency is the goal of our telephony management services, stacking infrastructure planning on top of hardware implementation. Our solutions are easy to manage, scaleable, and cost effective. Call ProVelocity today to see what we can do for your company. Hardware solutions form the backbone of your company's IT strategy, providing the ground floor on which to build an efficient network. Our hardware solutions put unparalleled industry experience and expertise at your fingertips, providing high‐level strategy as well as purchasing, installation and implementation assistance. Our hardware solutions make a positive impact on your organization, helping you forego the hassles of procurement, implementation and troubleshooting while maximizing the total cost of ownership of each piece of technology. With our outsourcing model, you pay only for what you need. Our hardware solutions don't stop when you have boxes on the showroom floor, either. 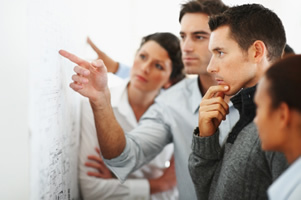 We work together with you in strategic planning and on‐the‐ground implementation and support. Our objective is to help your company move forward, and we don't mind staying late to make sure that happens. Call us today to learn more about hardware solutions.